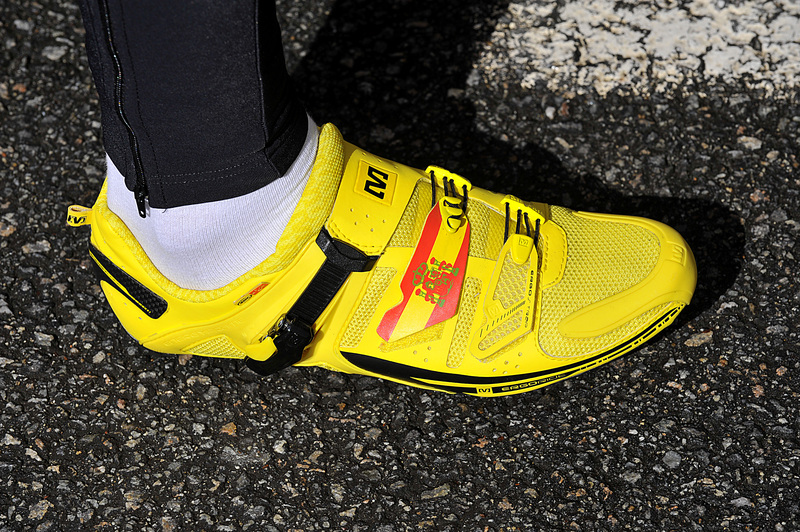 Going for the title of the yellowest shoes in town, the new footwear from Mavic is proving to be a popular attraction. Helping the wearer blend in with the Mavic neutral service cars in the Tour, these are sure to get the wearer spotted in all lights! Also available in a slightly more sober grey and white. 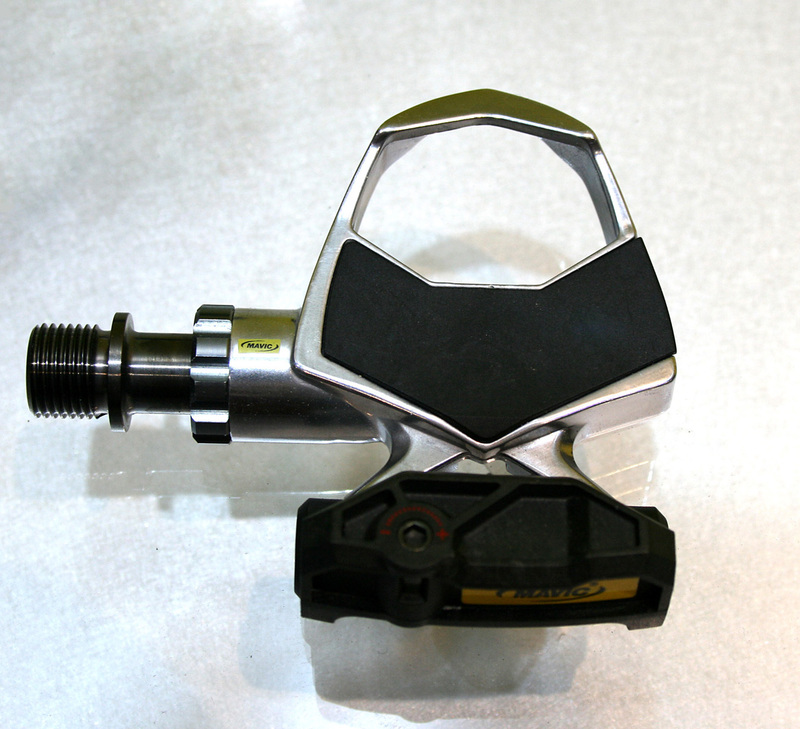 Mavic have also launched their new pedal system. Looking like they have taken inspiration from both Look and Shimano, these are certainly a departure from their early pedals in the late 80s. Looking like a standard three-hole shoe plate design with adjustment on the top of the back plate, these are certainly an interesting design.